← Bring Home The GOLD!! Still looking for the perfect accessory to compliment those bridesmaid’s gowns that took so painstakingly long to find, and even longer to get everyone to agree on? Perhaps you are searching for an attendant gift that will be treasured! Try B Treasured. 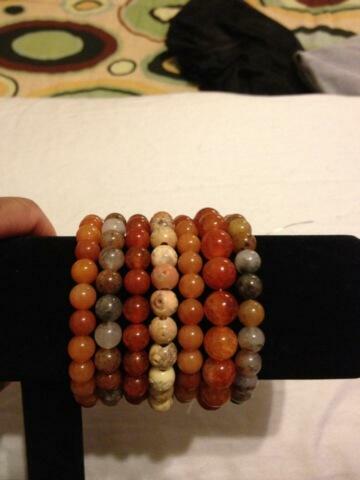 Handmade bead bracelets! They can be customized to your wedding color palette or to fit any wrist size. Choose the color bead, size and type to complete your wedding day look. Even add a charm as a memento of the occasion. They are the finishing touch to any wedding ensemble. 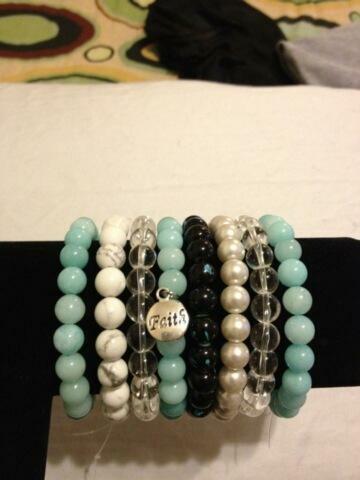 Stack them in different colors, (Tiffany blue, cream and black), or use them for a pop of color! 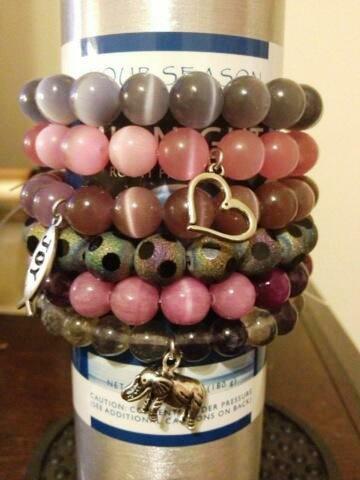 Also try stacking them with other bracelets for the on-trend look of the season. And how cute would your flower girl or junior bridesmaid look with her own dainty little bracelet and charm. (They can also be used to set the Maid/Matron of Honor apart from the bridesmaids) Or use them as gifts for your bridal party, mothers’ gifts, or accent your own wedding day look. Something they can actually wear after the wedding! Mention that you saw our products on Color It Purple Event Planning’s BLOG and receive 10% off your total purchase!! Peek at some of our treasured favorites!! This entry was posted in Weddings and tagged B Treasured, beaded bracelet, Blogger, bracelet, bridesmaid gift, event planner, flower girl, handmade bracelet, maid of honor, matron of honor, tiffany blue bracelet, tifffany blue, Treasure, wedding gift. Bookmark the permalink.